Superforms, Inc., was established in February, 1980, as an independent distributor of business forms and computer supplies to general businesses in Arkansas and the Mid-South. In 1982, the company added microcomputer systems with general accounting software geared for small to medium-sized enterprises. Through an alliance with Passport Software of Chicago, Illinois, RealWorld Accounting Software (now a Microsoft product) became the focus of its marketing, providing cobol software for general ledger, accounts payable, accounts receivable, order entry, invoicing and payroll. Platforms have included Unix, DOS and Windows. Superforms has also developed other software, written in BASIC and Microsoft Access, for special retail businesses. In the late 1990s, an alliance was formed with Formcraft of Arkansas, Inc, of North Little Rock, Arkansas. Superforms acts as a selling agent and Formcraft provides the order entry, sales service, and warehousing for its business forms customers. In 1998, Mike Harrington, President of Superforms, entered into an arrangement with Innovative Solutions, a business partner of JD Edwards Software of Denver, to be a contract consultant for financial software. In 1999, he became a OneWorld software developer using Edwards' OneWorld Tool Set and specializing in financial reports. 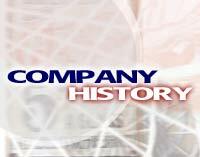 Also in 1999, Innovative Solutions was acquired by Broughton Systems, also a JD Edwards partner. Harrington became a part of a team that specialized in JDE report writing coupled with Optio Software, a provider of document output management software. This software allows end users to combine data from JD Edwards (or other enterprise software) with forms design to print and email customized documents on plain paper, eliminating the need for preprinted forms. In December, 2002, Superforms, Inc. became an independent resource for JD Edwards and Optio clients, working with staffing and consulting companies throughout the United States.